Civil Air Patrol (CAP) - "Copper Country Composite Squadron"
Thousands of volunteer members answered America's call to national service and sacrifice by accepting and performing critical wartime missions. Assigned to the War Department under the jurisdiction of the Army Air Corps, the contributions of Civil Air Patrol, including logging more than 500,000 flying hours, sinking two enemy submarines, and saving hundreds of crash victims during World War II, are well documented. CMX is home to the Civil Air Patrols "Copper Country Composite Squadron" based out of hangar 2. The squadron is comprised of 15-20 volunteer members. 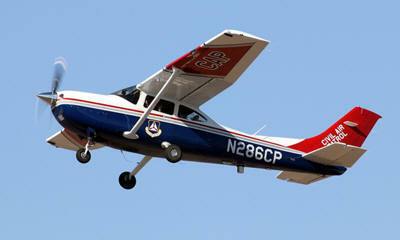 A Cessna 172 is assigned to CMX to support the Civil Air Patrols three primary missions - aerospace education, cadet programs and emergency services. The Copper Country Composite Squadron has flown many missions over the Keweenaw working in support of local emergency services and law enforcement. Working with Michigan Technological Universities Summer Youth Program, members also teach a one week aerospace program to promote careers in aviation. The squadron stands ready to serve when called upon and is an important resource to the local law enforcement, emergency services and the Keweenaw. If you are interested in joining your local CAP you can contact Tom Curski at tcurski@netscape.net or 906-231-1694. The group meets every Monday at 5:30pm in the airport conference room of the airport terminal. Experimental Aircraft Association (EAA) - Chapter 1270 "Copper Props"
EAA is the only association that offers the fun and camaraderie of sharing your passion for participating in the flying, building, and restoring of recreational aircraft with the most passionate community of aviation enthusiasts. CMX is home to the "Copper Props," chapter 1270 of the Experimental Aircraft Association (EAA) based out of hangar 2. Chapters are about people. They bring together a group of individuals who enjoy the friendship of others and who are interested in learning more about aviation as well as sharing their own knowledge. Chapters are involved in a large variety of social and educational activities. There is something for everyone! EAA 1270 Chapter meetings are held on the second Saturday of each month at 9:00am in Hangar 2. 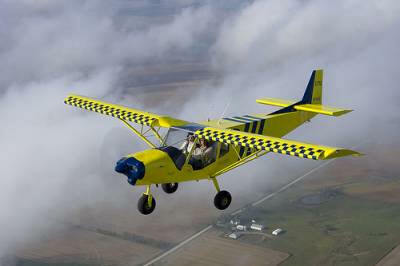 If you are interested in being a member you can go to http://pasty.com/~eaa1270/home or contact the Airport Manager's office for more information at 906-482-3970.